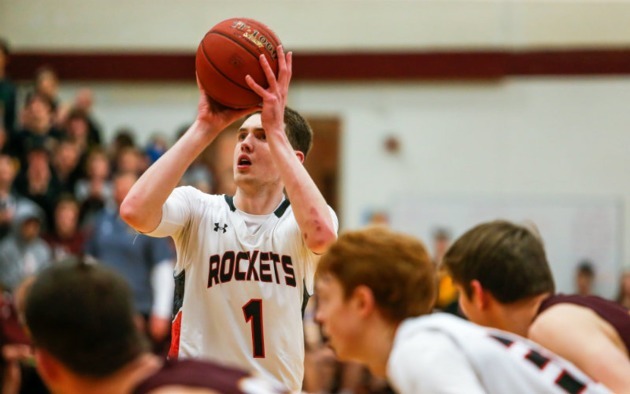 Plans for Matthew Hurt’s official campus visits are still in the works. Starting this weekend, though, college coaches will be lining up to make their pitches to the five-star senior forward in his living room. To be the first ones in the door when the contact period officially begins Sunday could be very impactful. The 6-foot-9 forward at Rochester John Marshall has Duke coach Mike Krzyzewski, Kansas coach Bill Self and Kentucky coach John Calipari scheduled for in-home visits on Sept. 9, according to a source. Gophers coach Richard Pitino’s in-home visit with Hurt will be a week from Monday on Sept. 10. Memphis coach Penny Hardaway’s home visit is planned for Sept. 12. North Carolina coach Roy Williams is also expected to have an in-home visit with Hurt next week. Hurt’s D1 Minnesota AAU teammate Zeke Nnaji was one of the biggest stock risers of the 2019 class this summer. The 6-11 Hopkins senior will also have Self and Calipari for in-home visits Sunday and Pitino on Sept. 13, according to a source. Georgetown (Sept. 10), Baylor (Sept. 12), Arizona (Sept. 17), Purdue (Sept. 24) and UCLA (Sept. 26) are also expected to see Nnaji for in-homes this month. Hurt and Nnaji haven’t narrowed down their list of schools yet. But Nnaji has been on an unofficial trip tour this summer. He recently made a trip to UCLA last week and met former Wolves forward and Bruin Kevin Love. Nnaji’s upcoming unofficial visits this month will be Kansas, Kentucky and Baylor. He’ll then set up official visits in October. Hurt and his older brother Michael, a Gophers junior forward, returned from an eight-day trip to Santa Barbara last week. They trained with several professional players, including Dallas Mavericks rookie Luka Doncic. -- Last week, USA Basketball announced partnerships with the NBA, NCAA and National Basketball Players Association (NBPA) to expand the junior national team program to create a better all-around camp experience. Hurt was among the 80 players (about 20 per high school class) invited to participate in six training camps throughout the 2018-19 season, including the first minicamp Oct. 5-7 in Colorado Springs. Other Minnesotans confirmed to be invited to the U.S. junior national team program are Minnehaha Academy junior guard Jalen Suggs and Cretin-Derham Hall freshman guard Tre Holloman. -- The Gophers still haven't hosted their first prospect for an official visit yet this year since two targets committed before their scheduled trips. Sunrise Christian Academy (Kan.) guard Austin Crowley committed to Vanderbilt the week of his Aug. 30 trip to Minnesota. Lakeland (Fla.) forward Luke Anderson committed to Iowa State over the weekend, so he cancelled the Sept. 8 weekend visit to the Twin Cities. Next up for Gopher official visits? Breck two-sport star and forward David Roddy on Sept. 14-16. Also scheduled later are Pebblebrook (Ga.) forward Jared Jones on Oct. 6 and Bishop Walsh (MD) wing Yavuz Gultekin on Oct. 26.